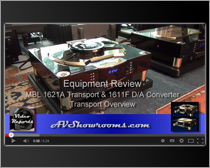 The legendary D/A-converter 1611 F from MBL has always connected the digital world with the analogue. 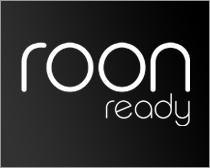 With Roon Ready integration, we’ve taken the next big step. Ease of use and seamless streaming of various sources combined with the fantastic sound of an MBL audio system makes listening to music even more enjoyable. The MBL ROON MODULE is a hardware device developed by MBL’s engineering team that you can add as an option to your D/A converter 1611 F and works together with any Roon server within your LAN. 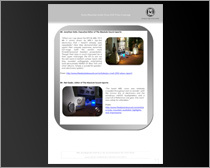 The MBL ROON MODULE is now available. Contact your trusted dealer today. 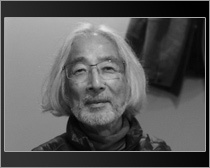 It is with great sadness that we announce our friend, Yoshihisa Mori died on December 26, 2018, at the age of 77. 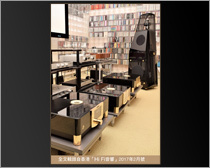 Mori-san has been our Distributor Consultant for the Japanese market for many years and has supported us with his great wisdom and knowledge of the high-end audio market in his country. During the many years of cooperation, Mori-san has become very dear to us with his humorous and heartfelt nature as well as his unconditional reliability. With him, we have lost a dear friend and are very sad that he had to leave us. Rest in peace, our dear friend! We will always keep an honorable memory of you. Our compassion goes out to his family. 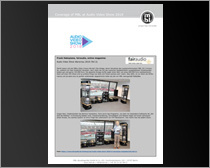 The Audio Video Show took place from November, 16th until 18th 2018. The show has been running for 22 years and with 170 rooms, it is the second largest in Europe. MBL presented the flagship Radialstrahler the MBL X-treme. Read more in our press coverage. 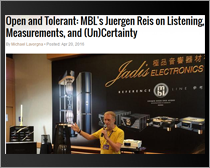 Under the heading “Let more people enjoy high-quality music”, the Audio Art Magazine recently published an interview with Chief Engineer Jürgen Reis. 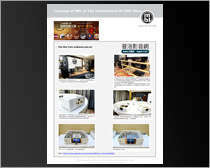 The occasion was the recently presented MBL Roon module, which received great popularity from visitors of this year’s TAA International High End Show. 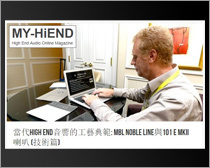 Leo Yeh from High End audio online magazine “MY – HiEND” reports about MBL’s Noble Line. All innovative features such as Intersample Overload, Unity Gain and LASA are explained in detail. 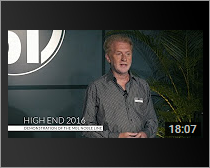 The Cost no Object Show 2018 of our partner Alpha High End was a total success. 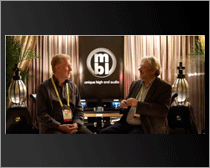 Please view here Chris Steurs of Alpha and Antoine Furbur of MBL in an interview with audiovideo2day giving you some insights about the MBL components. 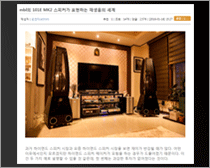 The Korean E-magazine Hifi Audiophile Community reviewed the #Radialstrahler 101 E MKII. 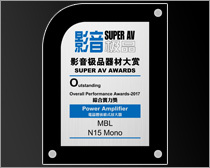 MBL won the “Outstanding overall performance Award 2017” from the Chinese magazine Super AV for its Noble Line Mono Power Amplifier N15. Bringing out emotions in people as they listen to their favorite music, making the audience sense all the feelings that the artist has put into his composition or performance – that has always been your vocation. 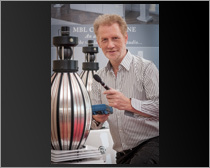 For 35 years now, you have been MBL’s chief developer and wholly responsible for developing our wide range of loudspeakers and electronics. Music lovers all over the world enjoy their beloved music thanks to systems designed by your pen and in professional circles our products have received the highest recognition. And since in your life everything is about the music, you have also made some remarkable recordings for some great musicians and orchestras and mastered them with the utmost meticulousness. In all these years your commitment has never subsided, you have always worked with great care and respect for the cause. And as a person, you have grown in our hearts. I thank you personally for these 35 years. And I thank you also on behalf of the entire MBL team as well as all music enthusiasts who you have been brought closer to the emotions of the music. It has been an exciting time and we look forward to the future with you – a future that will give us many more exciting products. A future on behalf of the music. And again this years TAA in Taiwan was a big success. 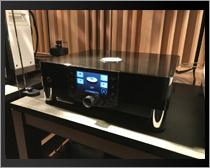 Introducing to our Asian customers and journalists the new Noble Line devices N11 preamp and N15 Mono amp. 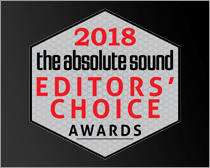 We are pleased to report that Robert Harley, Editor in Chief of The Absolute Sound Magazine awarded MBL with “Best of Show” honors at the Los Angeles Audio Show 2017. He also awarded the new Noble Line with his “Most Significant Debut” Awards. 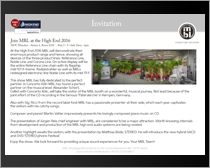 This year’s MUNICH HIGH END was one of the most successful shows MBL has ever had. The response from the many visitors to the 2 systems we had on active display was basically unanimous: the 101 X-treme powered by our Reference electronics was considered “best of show”. 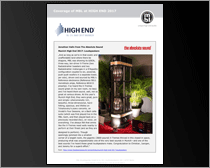 Read more about MBL at the HIGH END 2017 at the press coverage. 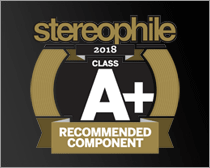 Two products of our company have been awarded the “Products of the Year” by the Chinese Hifi Review Magazine: the CD-DAC N31 and the Integrated Amplifier N51 from the Noble Line chain. 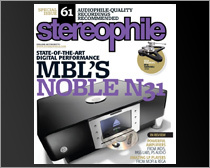 Our chief engineer Jürgen Reis talks exclusively Digital with John Atkinson from “Stereophile”, going deep into detail about new Noble Line CD/DAC N31 and different aspects of modern DAC design. 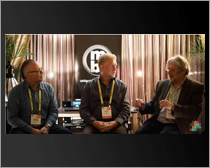 At CES Micheal Lavorgna from AudioStream in a conversation with our Chief Engineer Juergen Reis & John Atkinson (Stereophile) about technical details. 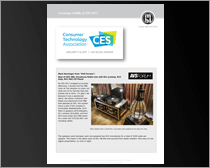 This year´s CES was a complete success for us. 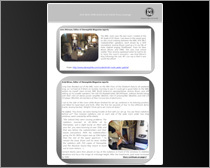 We have summarized the highlights in the following press coverage. 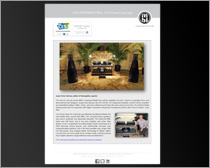 We can proudly announce that MBL was awarded several times by editors of renowned hifi magazines with titles like ”Best of CES“, „Best Sound“, or „Best of Show“. 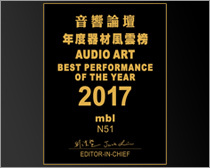 Taiwans “Audio Art” honored MBL’s Noble Line integrated amplifier N51 with the “Best Performance of the Year 2017” Award. 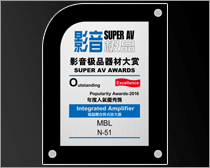 MBL won the “Outstanding overall performance Award 2016” from the Chinese magazine Super AV for its Noble Line Integrated Amplifier N51. The event for the official product introduction of MBL to the Vietnamese market by our distributor Audio Huy Lan Anh was a complete success. Read more in the press coverage. 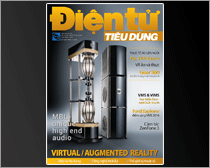 The Vietnamese Hifi magazine Điệntử Tiêu Dùng dedicated in its November issue a comprehensive overview about MBL. 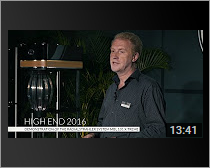 It is shown an overview about the company, the entry level Corona Line, our flagship Radilastrahler Loudspeaker System 101 X-treme and our masterpiece the Radialstrahler 101 E MKII. 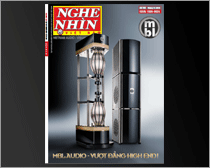 In connection with the introduction of MBL on the Vietnamese market Tuấn Lương from the Audio–Visual Magazin NgheNhìn brings our products closer to the reader. 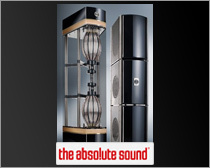 The article goes into the unique Radialstrahler Loudspeakers and the three electronic lines Reference Line, Noble Line and Corona Line. 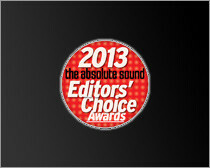 Great award from rAVe Publications for our loudspeakers mbl 101 E MKII. Thank you, we feel honored. 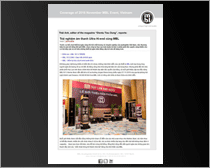 MBL´s show debut at „AUDIO VISUAL EQUIPMENT SHOW“ in Vietnam was a complete success. Our new distributor „Audio Huy Lan Anh“ demonstrated the MBL Reference Line with the Radialstrahler Loudspeaker mbl 101 E MKII. Both visitors and journalists have been very impressed by these unique Radialstrahler Loudspeaker. 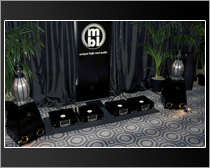 The MBL Suite earned much praise for the performance on this years TAA International HI-END Show. 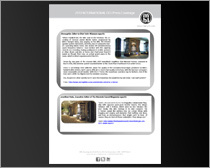 Learn more in the following press coverage. 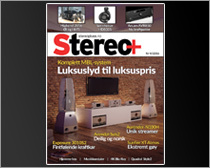 Roy Ervin Solstad from the Norwegian audio magazine Stereopluss summarized his listening impressions of the MBL Reference Line: „Dette er rett og slett en drøm av et anlegg“ (This is simply a dream of a system). 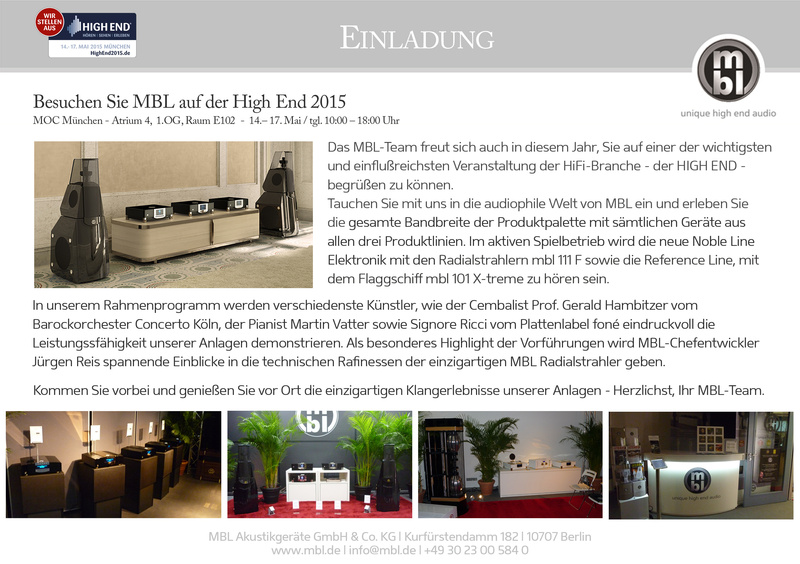 The MBL team is pleased to welcome you to one of the most important Hi-fi events in Europe: HIGH END. 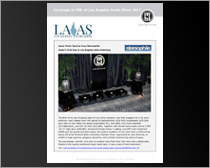 We have summarized the highlights of this years AUDIO EXPO NORTH AMERICA in the following press coverage. Learn more from our chief engineer Jürgen Reis about the relation between listening, measurements, and (un)certainty. He explains the importance between the interaction of measurement and listening during developing processes. To find aspects for improvements both elements have to be in balance: How to measure, what is audible and how does it sounds, what is measurable. 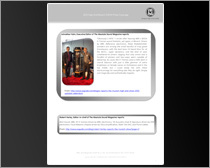 We have summarized the highlights of MBL of this year’s CES in the following press coverage. 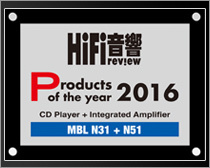 The Chinese hifi magazine “SUPER AV” chose the CD-DAC mbl N31 from the new NOBLE LINE for their “Outstanding Popularity Awards 2015”. 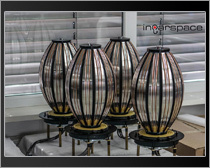 The British Audio Review Portal “Inearspace” visited our factory and reports extensively about this company tour. 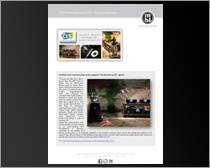 MBL North America and it´s retail partner United Home Audio received the PFO Audio Oasis! Award. 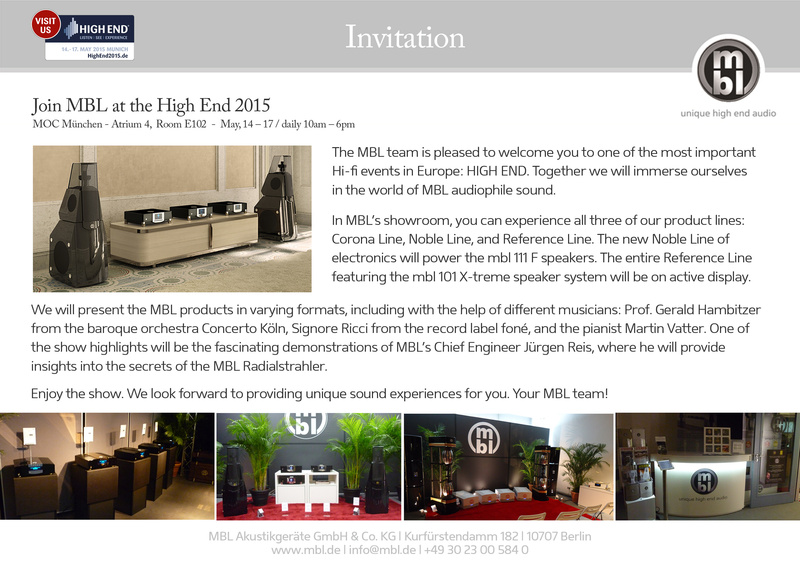 The MBL team is pleased to welcome you to one of the most important Hi-fi events in Europe: HIGH END. 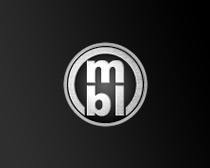 Together we will immerse ourselves in the world of MBL audiophile sound. 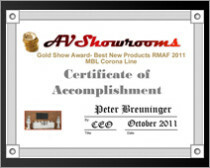 In MBL’s showroom, you can experience all three of our product lines: Corona Line, Noble Line, and Reference Line. 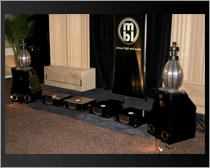 The new Noble Line of electronics will power the mbl 111 F speakers. 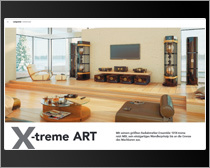 The entire Reference Line featuring the mbl 101 X-treme speaker system will be on active display. MBL North America received the PFO Audio Oasis! Award. 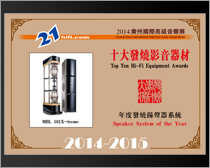 21hifi.com, the Chinese hifi internet portal, awarded MBL with the “Top Ten Hi-Fi Equipment Award 2014-2015″ for the mbl 101 X-treme Radialstrahler Loudspeaker. 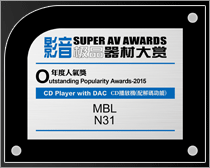 The Chinese hifi magazine “SUPER AV” chose the CD-DAC mbl C31 from the CORONA LINE for their Outstanding Overall Performance Award 2014 / category “SACD/CD-Player”. 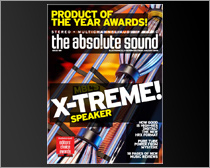 The mbl 101 X-treme Radialstrahler Loudspeaker received an award for “Best Speaker Technology of the year 2014” by Visual & Audio Equipments magazine. 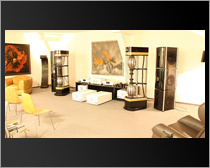 The Czech online hifi and high-end magazín Hi-Fi Voice tested MBLs flagship Radialstrahler loudspeaker mbl 101 X-treme. 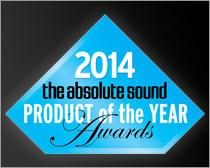 MBL is pleased to announce receiving the absolute sounds award PRODUCT of the YEAR for our CORONA LINE Integrated Amplifier mbl C51. 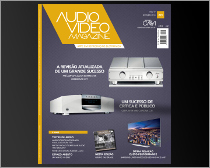 Fernando Andrette reports about the CD-DAC from the Corona Line mbl C31 in the September issue of the Audio Video Magazine. 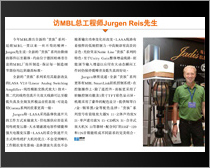 Eric Fung interviews Jürgen Reis about MBLs new Noble Line series at Hong Kong Audio Visual. 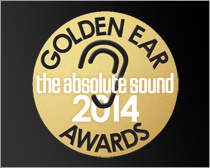 MBLs Integrated Amplifier C51 from the Corona Line is announced for the “Golden Ear Award 2014″. 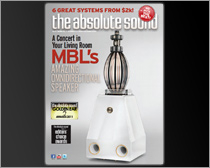 Read more in the September issue of ‘The Absolute Sound’. 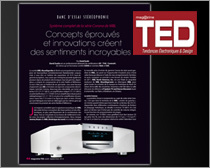 In the latest issue David Susilo, editor of the Canadian magazine “ Tendances Électroniques & Design” reports about the MBL Corona Line. 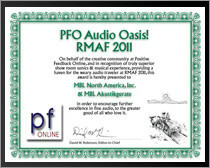 MBL received a PFO Audio Oasis! 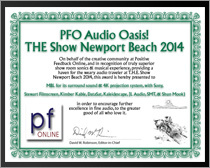 award for the Surround sound presentation at THE Show Newport Beach. 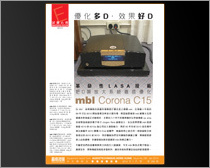 The chinese magazine Audiotechnique published an equipment report about MBLs Mono Power Amplifier mbl C15 from the Corona Line in its issue n°388. 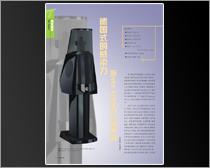 The chinese magazine Audiotechnique published an equipment report about MBLs Radialstrahler loudspeaker mbl 101 E MKII in its issue n° 393. 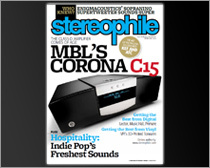 John Atkinson, editor of the U.S. magazine Stereophile reviews the CORONA LINE mbl C15 Mono Power Amplifier. 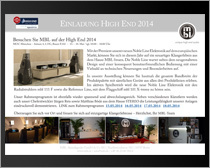 The High End at Munich 2014 will mark the introduction of the new Noble Line of electronics in Europe. The new designs feature state of the art sound quality; unique, user friendly controls; diverse technical innovations; and innovative special features. 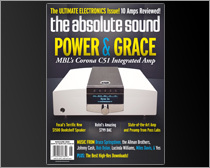 Neil Gader, editor of the U.S. magazine The Absolute Sound reviews the mbl C51 Integrated Amplifier from our Corona Line in the May/June 2014 issue. 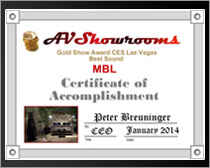 The online video magazine AV Showrooms honored MBL with the “GOLD SHOW AWARD” for the best sound at CES Las Vegas. 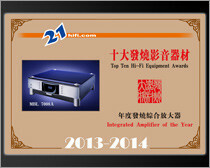 It was demonstrated the new generation of NOBLE LINE electronics with the Radialstrahler mbl 111 F.
21hifi.com, the Chinese hifi internet portal, awarded MBL with the Equipment Award 2013-2014 for the Integrated Amplifier mbl 7008 A (NOBLE LINE). 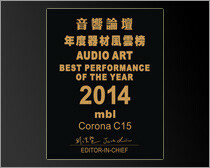 Taiwans “Audio Art” honored MBL’s CORONA LINE Mono Power Amplifier mbl C15 with the “Best performance of the year 2014” Award. 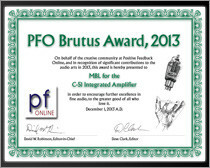 The Integrated Amplifier mbl C51 won the “PFO Brutus Award 2013” from the online magazine Positive Feedback Online. 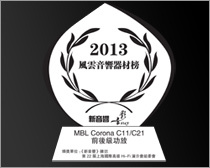 The chinese magazine ‘The New Audiophile’ awarded the Preamplifier mbl C11 and the Stereo Power Amplifier mbl C21 from the Corona Line with the ‘Outstanding Award 2013′. The Chinese hifi magazine “SUPER AV” chose the Radialstrahler loudspeaker mbl 120 from the CORONA LINE for their Popularity Award / category “Bookshelf Speaker”. 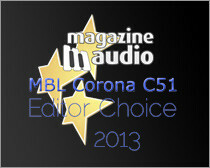 The CORONA LINE Integrated Amplifier mbl C51 won the “Editor Choice Award 2013″ from Magazine-Audio, a French-Canadian eZine. 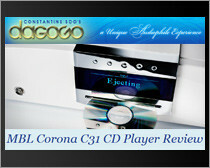 Jason Victor Serinus published a review of MBL´s CORONA LINE CD-DAC mbl C31. 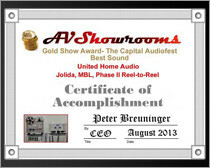 AV Showrooms awarded MBL with the Gold Show Award for the “BEST SOUND at the Capital Audio Fest 2013”. 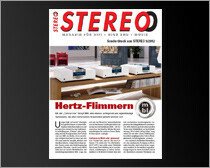 In its issue 08/2013 the German hifi magazine STEREO reports in the category “Secrets of Developer” about the heard of MBL: Jürgen Reis. Learn more about himself and why he successfully develops jewels of sound whose naturalness and harmonies far exceed those of any established standards. 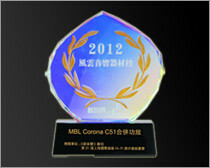 Once again MBL was awarded with The Absolute Sound “GOLDEN EAR AWARD” – This year we received the award for the CORONA LINE CD-DAC mbl C31. 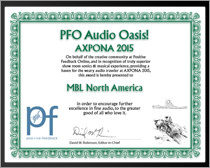 MBL North America received the PFO Audio Oasis! 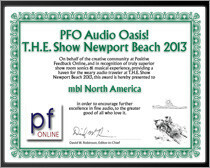 Award for T.H.E Show Newport Beach 2013! 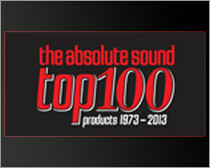 The magazine „The Absolute Sound“ awarded in its July issue two of the MBL products in the category “The 100 Most Significant Audio Products in the last 40 Years.” – the mbl 101 (manufactured from 1986 – 1988) and the mbl 101 E MKII (manufactured since 2008). 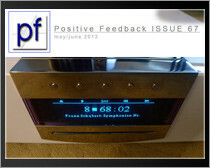 Positive Feedback Online reviewed the mbl C31 CD-DAC. 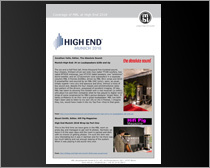 Learn more about the 2013 High End show in Munich. 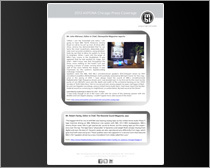 The British HiFi magazine HiFi News published in the May issue a review about the mbl 1511 F.
Read about MBL at the 2013 AXPONA in Chicago. 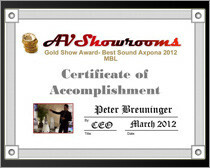 AV Showrooms awarded its “Gold Show Award – Best Sound” to the mbl 116 F Radialstrahler. 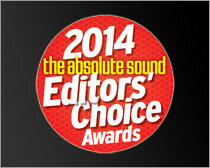 The French Language magazine “Magazine-audio.com” awards MBL with it’s “Best Sound of the SSI 2013″ award. 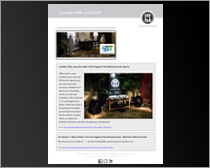 Read about MBL at the CES 2013. 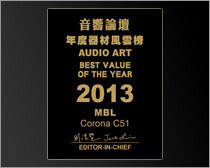 Taiwans “Audio Art” honored MBL’s CORONA LINE integrated amplifier mbl C51 with the “Best value of the year 2013” Award. 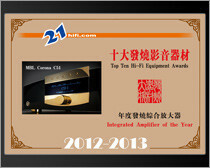 21hifi.com, the Chinese hifi internet portal awarded MBL with the Equipment Award 2011-2012 for the Integrated Amplifier mbl C51 from the MBL CORONA LINE. 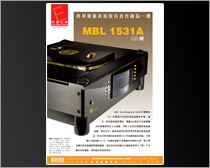 The Chinese Magazine „New Audiophile“ awarded the mbl C51 in the category „Best Performance Integrated Amplifier“. 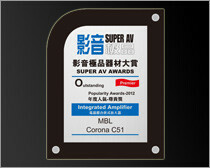 The Chinese hifi magazine “SUPER AV” chose the integrated amplifier from the MBL CORONA LINE chain – mbl C51 for their Popularity Award 2012. 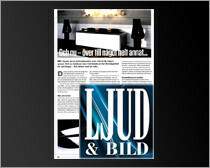 The December issue of the Swedish magazine Ljud & Bild published a review on the following devices from the CORONA LINE: mbl C11, mbl C21, mbl C31, mbl 120. The test result impresses with a total out of 6 of 6 stars and therefore receives in addition, the recommendation of the editorial staff. 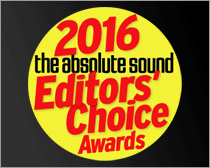 The Absolute Sound reports about the Radialstrahler mbl 120 from the Corona Line and awarded it: Golden Ear 2012 and Editor’s Choice 2013. 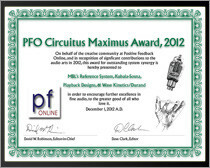 MBL received PFO’s “Circuitus Maximus Award” for the REFERENCE LINE. 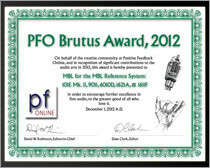 MBL received PFO’s “Brutus Award” for the RFERENCE LINE. 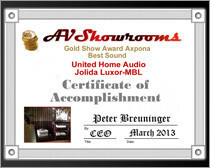 MBL won AV Showrooms ‘Gold Show Award’ for Best Sound at RMAF. 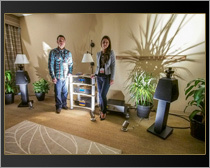 Learn more about MBL at the Rocky Mountain Audio Fest 2012 in Denver, Colorado. RMAF surely paid off. 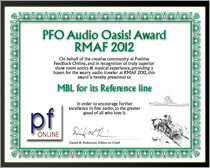 MBL received PFO’s ‘Audio Oasis’ Award for our Reference Line room at RMAF 2012. 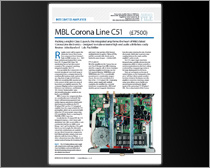 The German hifi magazine STEREO reviewed MBL’s new CORONA LINE in its latest September issue. 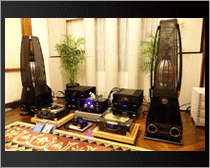 The following units were featured CD-DAC mbl C31, Preamplifierr mbl C11 as well as Stereo Power Amplifier mbl C21. Playing it cool! 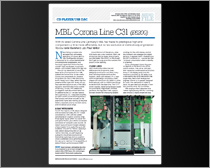 Exclusive – MBL’s Corona C31 CD-DAC: The September issue of the Hi Fi News magazine reports in detail about MBL’s CORONA LINE CD-DAC mbl C31. 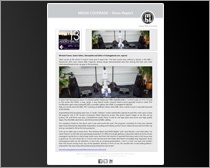 John Bamford and Paul Miller are writing on a total of three pages about their experiences with the mbl C31 at their listening room and test lab. 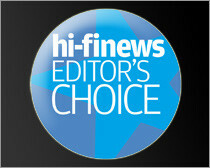 For the first time the UK magazine Hi-fi News honored the Corona Line devices: mbl C31 CD-DAC and mbl C51 Integrated Amplifier with the prestigious ‘2012 Editor’s Choice Awards’. 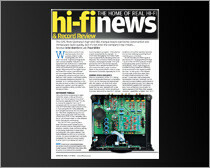 The September issue of the Hi Fi News already reported in detail about the mbl C31 CD-DAC from the Corona Line. 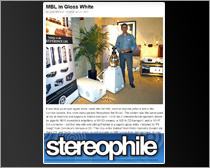 Once again John Bamford and Paul Miller are writing about the Corona Line this time about the integrated amplifier the mbl C51. 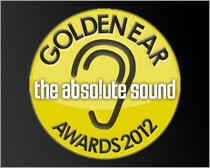 MBL’s Radialstrahler mbl 120 wins the Golden Ear Award 2012 from US magazine the absolute sound. 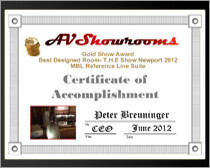 MBL wins “Best Designed Room” award from AVShowrooms.com. 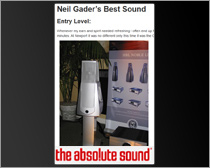 Jonathan Valin, editor of the hifi trade magazine ‘The Absolute Sound’ reports about the mbl 101 X-treme in issue 189 of January 2009. 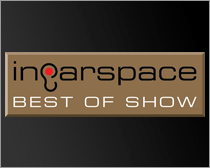 The Radialstrahler from the Reference Line not only is “Product of the Year” but also was the top choice for the ‘Editors Choice Awards’ several times. 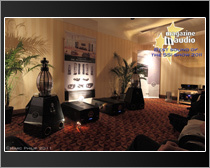 Learn more about the 2012 High End show in Munich. 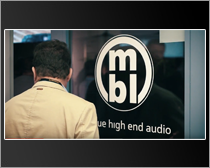 Learn more about MBL at 2012 New York Audio & AV Show. 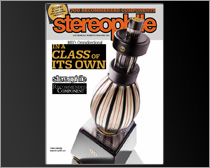 In a class of its own – MBL’s Omnidirectional 101 E MKII speaker : The cover of the current Stereophile issue 4/2012 shines with the mbl 101 E MKII. 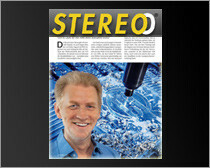 Michael Fremer reports on 7 Pages in detail about the omnidirectional speaker from the Reference Line. 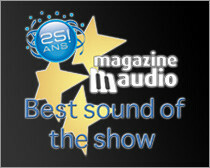 The Franco-Canadian magazine “Magazine-audio.com” awards MBL with it’s “Best Sound of the SSI 2012″ award. 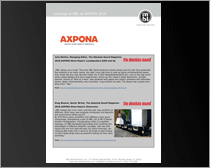 We have summarized the highlights on MBL of this year’s AXPONA (Jacksonville) in the following press coverage. 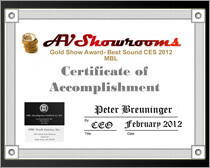 MBL wins “Best Sound of Show” award from AVShowrooms.com. 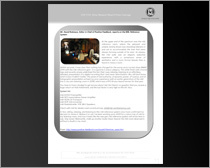 Dear music friends, MBLs Czech Distributor Obraz a zvuk s.r.o., Mr. Jiri Palan is planning an MBL high-end event. 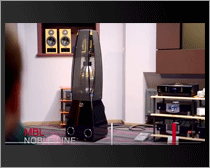 From March, 12 to 17 you will have the possibility to take a closer look and of course listen to the whole MBL product family starting with the Reference Line and the flagship Radialstrahler mbl 101 X-treme over the Noble Line up to the Corona Line in the showroom in Prague. 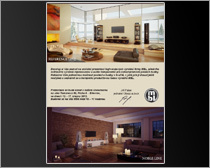 We are looking forward to welcome you in the time of 10 am until 5 pm in Tomanova 59, 169 00 Praha 6 – Břevnov. 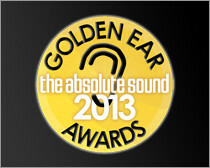 Prepare yourself for a very special audiophile experience. 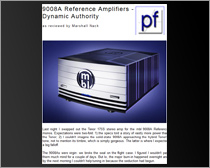 The American online magazine ‘Positiv Feedback Online‘ reviewed MBL’s Reference Line Power Amplifier mbl 9008 A. 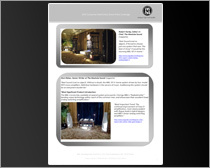 We have summarized the highlights on MBL of this year’s CES in the following press coverage. 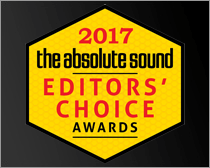 With pride we can proclaim that MBL was awarded “Best Sound of show” several times by the editors of renowned American hifi magazines. 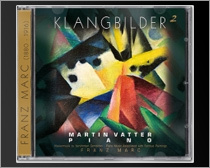 2012 kicks off with an audiophile delicacy: The new album “KLANGBILDER 2 – Piano Music Associated with Famous Paintings by Franz Marc” composed and played by pianist Martin Vatter is now available. 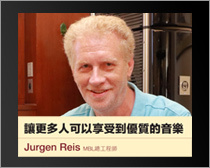 Once again, MBLs Chief Engineer and Designer Jürgen Reis performed the many tasks of recording and audiophile mastering of this work for solo piano. 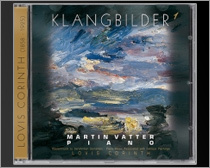 Mr. Reis and Mr. Vatter have also remastered the album “KLANGBILDER 1 – Lovis Corinth,” their original collaboration, for larger dynamic range and more natural perspective. Both albums feature a minimalist, Full Dynamic Range Recording (13 dB / DR 13), without any use of compressors or limiters (“Against Loudness War“). Discover for yourself the unbelievable tonal quality and the soulful piano music found in two versions: 16 bit / 44.1 Khz “Redbook” format, or indulge in the 24 bit / 88.2 Khz FLAC version, both now available. 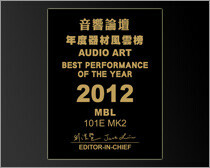 Taiwans “Audio Art” honored MBL’s Radialstrahler 101 E MKII with the “Best performance of the year 2012” Award. The Chinese hifi magazine “SUPER AV” chose the smallest Radialstrahler from the Corona Line chain – mbl 126 for their “SUPER AV AWARD 2011- Outstanding, Excellence, Overall Performance 2011“. 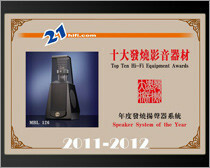 21hifi.com, the Chinese hifi internet portal awarded MBL with the Equipment Award 2011-2012 for our smallest ‘Radialstrahler’ the mbl 126 from the Corona Line. 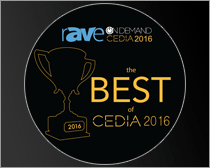 This award and the joint title for ‘Speaker System of the Year’ fill us with pride. 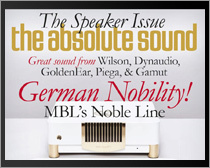 The Absolute Sound, one of America’s most prestigious magazines, reports about the Radialstrahler mbl 101 E MKII in its latest December, 2011 issue. 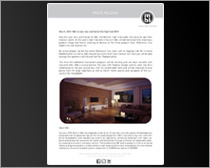 Learn all about the innovations of the new ‘E MKII’ version and how you can transform your living room into a concert hall. 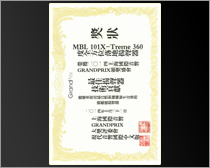 The Shanghai International Audio Show 2011 brought MBL the “Grand Prix-Award“ for the Radialstrahler mbl 101 X-treme “Best Loudspeaker System of the Show”. MBL is looking forward to an audiophile delicacy. Martin Vatter, composer and pianist, known for his outstanding piano playing and his world-famous CD productions releases his new CD by the end of January, 2012. The CD production will be published under the name “KLANGBILDER – Extraordinary Piano Music Associated with Famous Paintings By Franz Marc”. 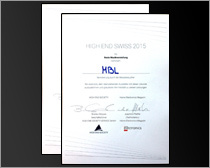 Once again recording and audiophile mastering done by MBL chief engineer Juergen Reis. The compositions will also be available as HighRes-Download. 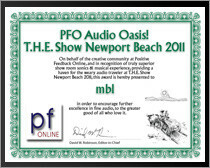 At ‘The Show Newport Beach’ MBL received the Audio Oasis! 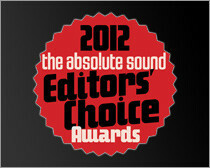 Award of the American online Magazine ‘Positive Feedback’. 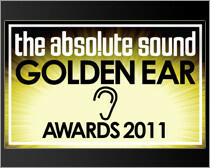 We are very proud to announce that MBL has been given the Audio Oasis! 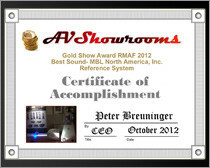 Award once again in fact for the presentation at this year’s Rocky Mountain Audio Fest 2011. 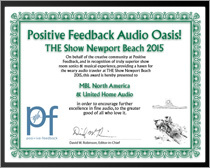 The American online magazine ‘Positiv Feedback Online‘ chose the MBL room at the exhibition “THE show Newport Beach” for its Audio Oasis! Award. 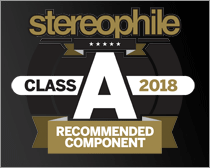 The mbl 101 E MKII Radialstrahler receives this year’s coveted “Golden Ear Award 2011″ by the renowned American Hi-Fi magazine “The Absolute Sound”. 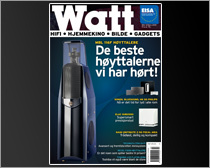 Learn more in the September issue. 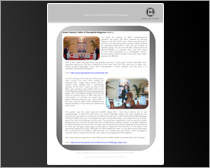 The TAS and its editor Neil Gader report about the show première T.H.E. Show in Newport Beach, California. 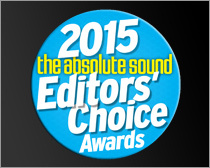 For the editorial staff the mbl 120 had the most appealing new sounds of the show. 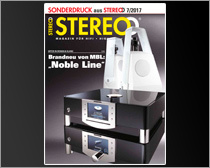 The latest issue of the German hifi magazine STEREO 7/20110 reports in detail about the new version of the ‘Radialstrahler’ mbl 101 E MKII. 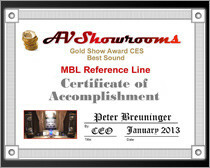 The MBL 101 was, is and remains in the sum of the qualities one of the unique loudspeakers which conjures uncommon authentic sound pattern in the living room. One can hardly resist its magic. 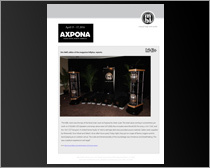 John Atkinson editor at Stereophile reports from AXPONA NYC 2011 Audio Show which took place from June 24 – 25th 2011. His visit to the MBL room had him excited. 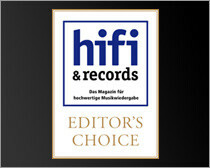 Another highlight at this year’s High End in 2011 in Munich was the awarding of the Editor’s Choice Award from hifi & records. 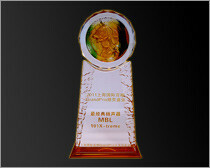 MBL received the Award for the D/A converter mbl 1511 F from the NOBLE INE chain. 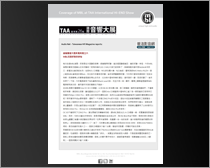 The online platform Magazine Audio and his editor Marc Philip report in detail about the show Salon Son image taken place in Canadians Montreal. 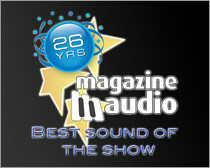 Impressed by his listening experience he announces MBLs show appearance as ”Best Sound of Show“. 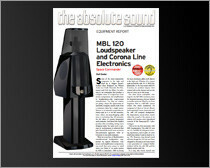 Jonathan Valin, from the magazine “The Absolute Sound” reports extensively about the mbl 101 X-treme Loudspeaker. 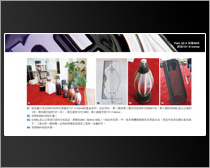 Chinese hifi magazine “SUPER AV” reports in the issue Vol. 211 about the Radialstrahler mbl 120. 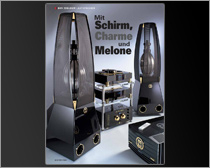 This time the AUDIOphile 2/2011 reports in its latest issue about the Radialstrahler mbl 101 X-treme from the REFERENCE LINE chain. 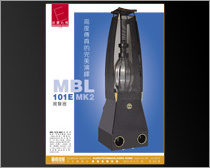 With its biggest ensemble of omnidirectional speakers, the mbl 101 X-treme, MBL pushes the envelope of its unique transducer principal to its boundaries.